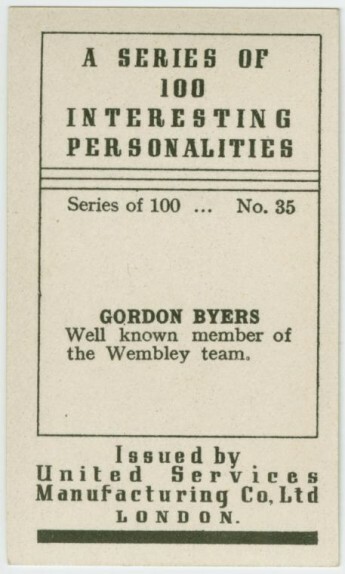 Card collector David Pipes alerted this card set to me. 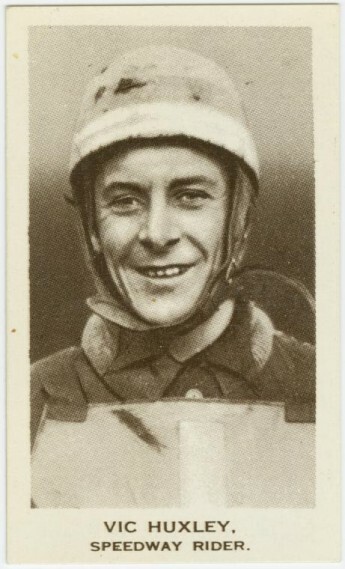 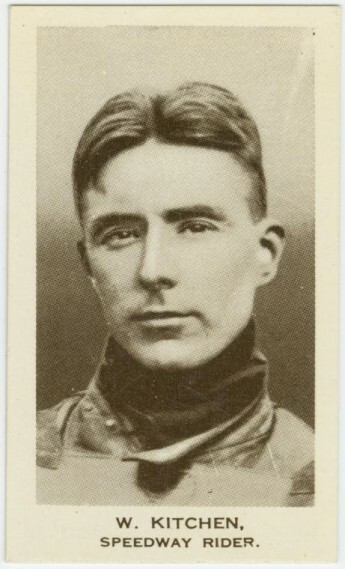 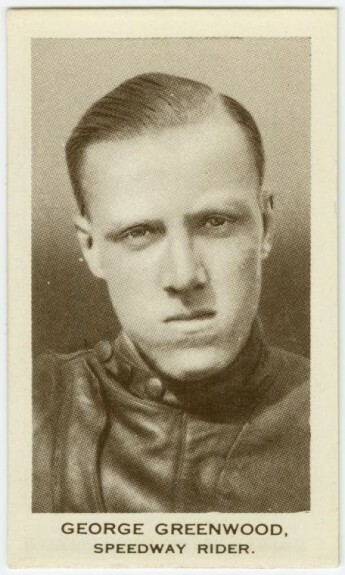 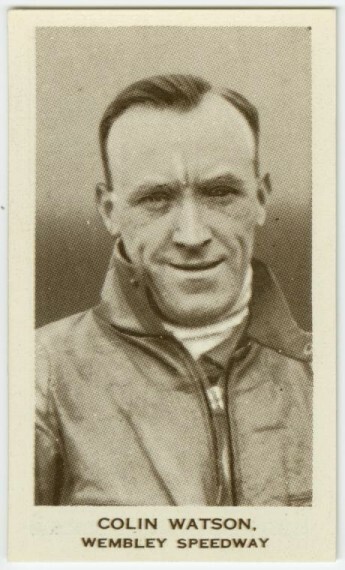 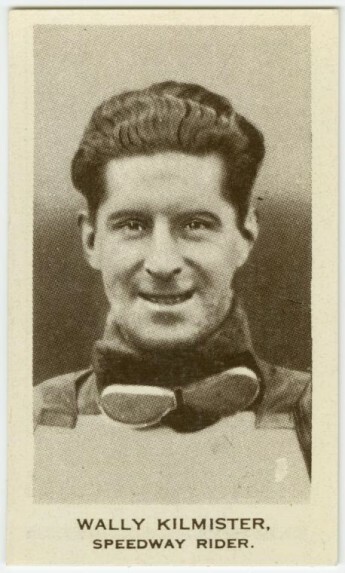 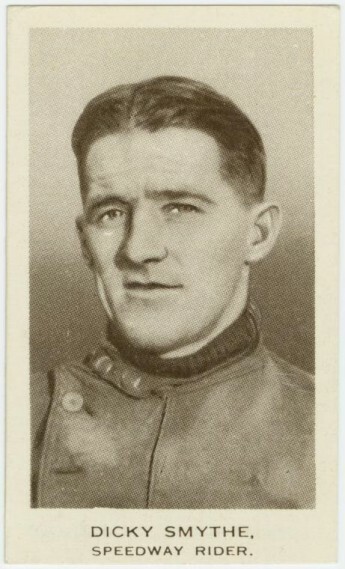 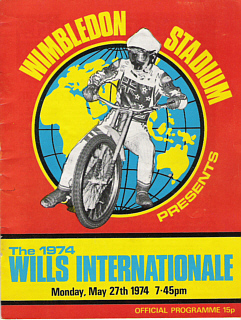 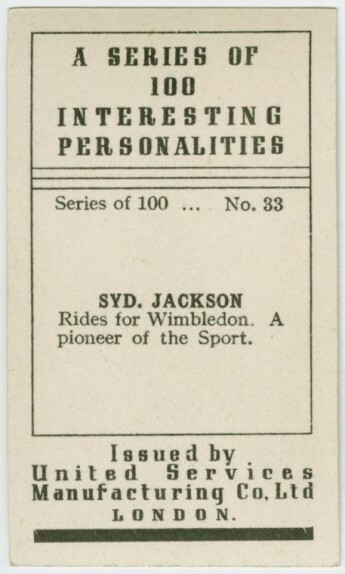 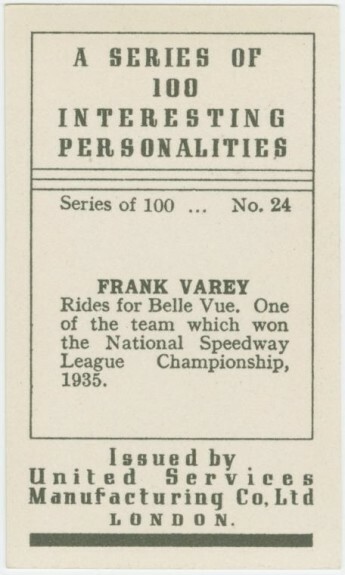 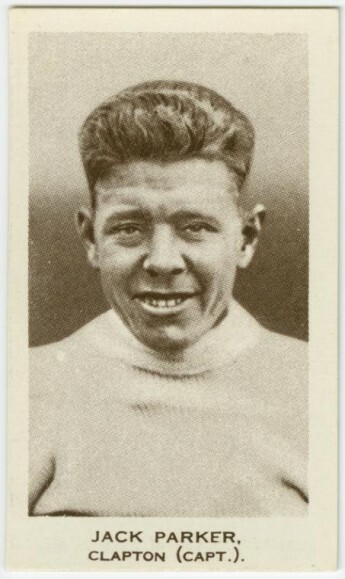 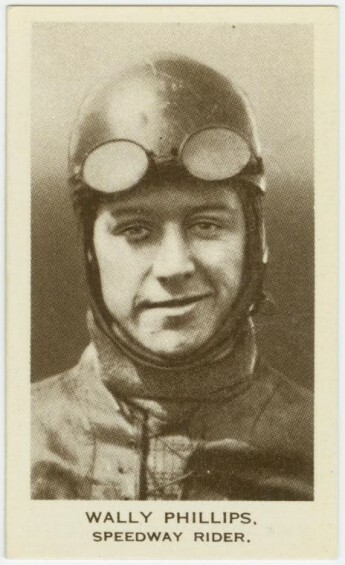 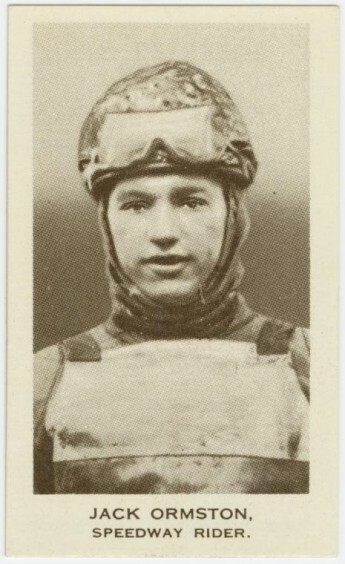 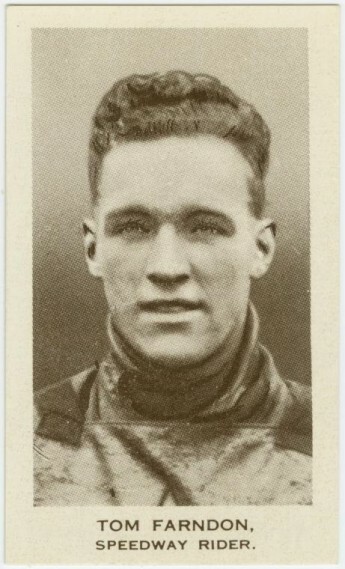 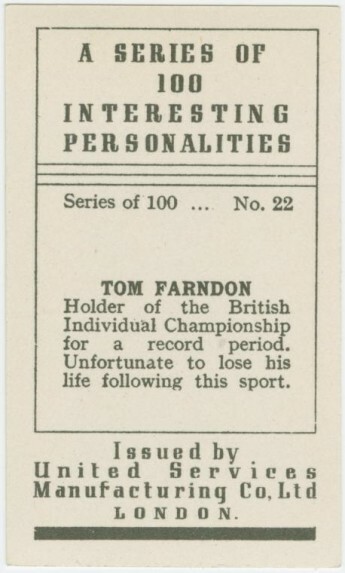 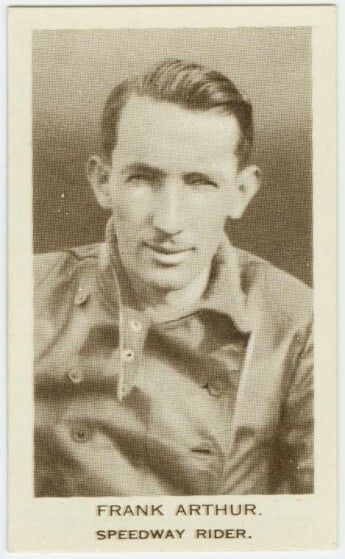 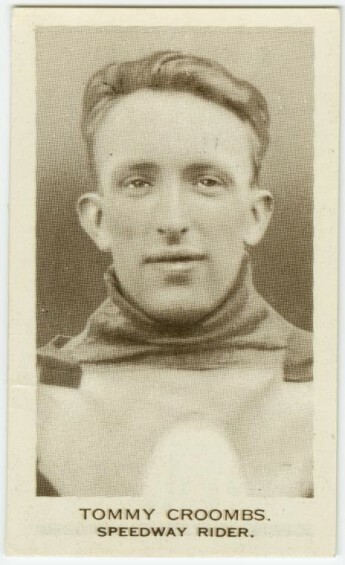 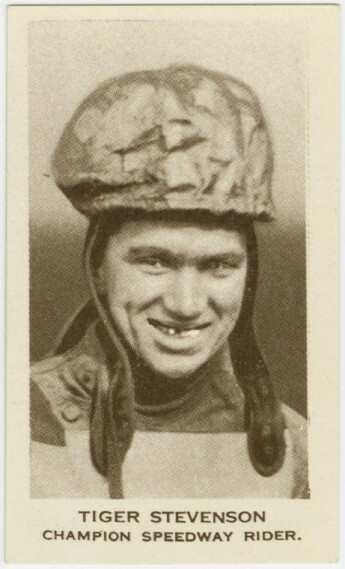 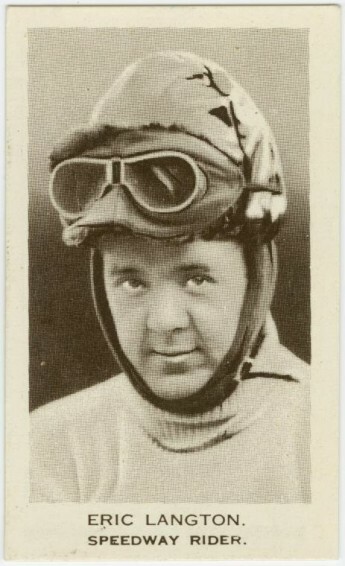 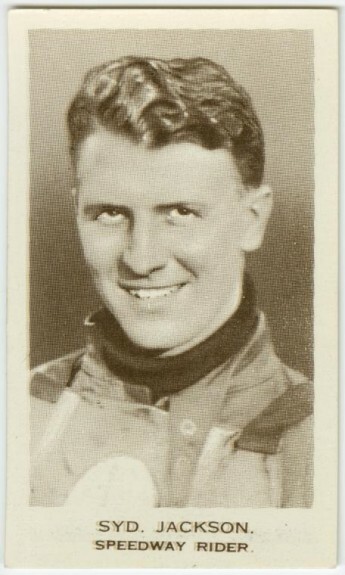 The speedway cards were included in a multi-sport set of 100 cards. 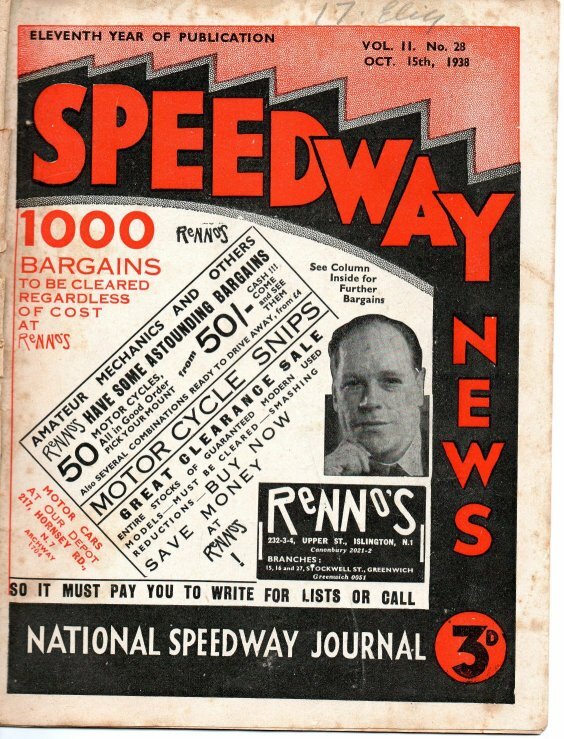 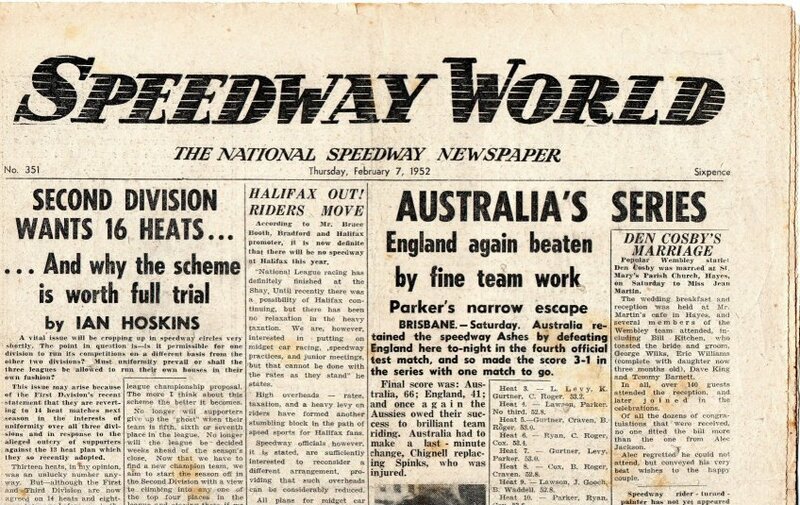 The speedway cards were numbered 19-38 inclusive. 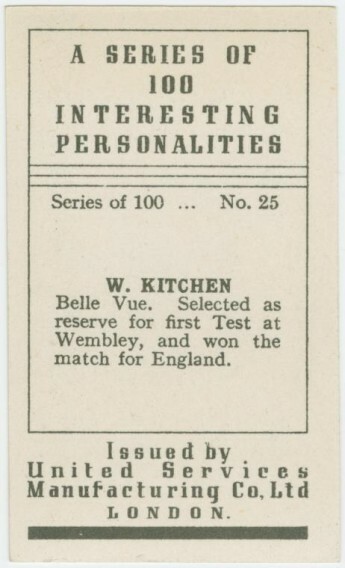 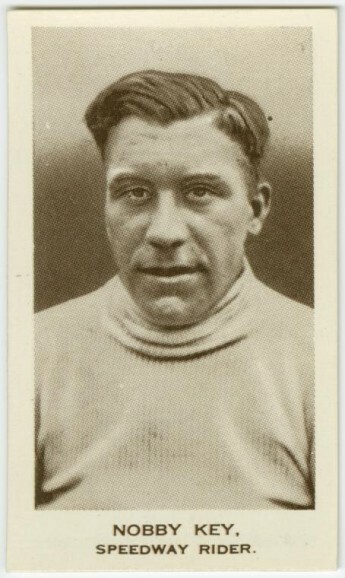 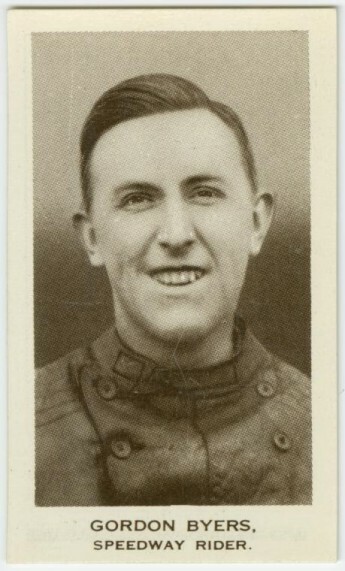 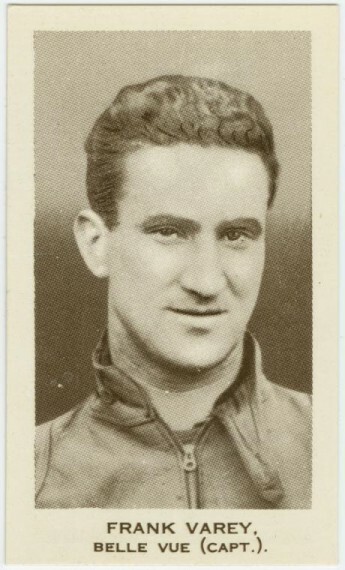 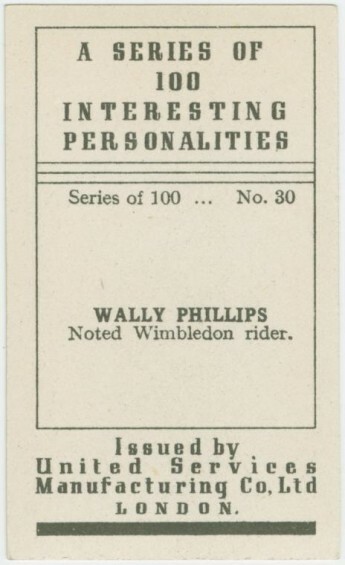 The photo sides of the cards also appear on the Godfrey Phillips BDV Package issues. 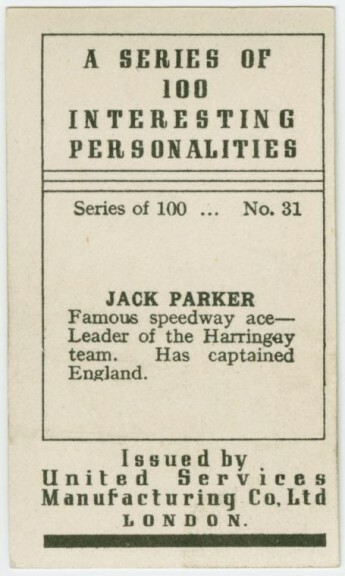 The text is however, different and although a little short of good content, I am showing both sides of the cards anyway. 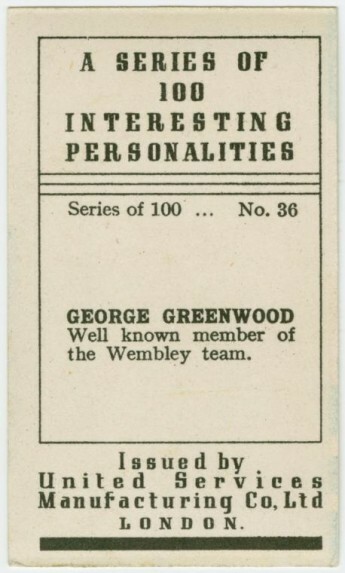 George In a good mood! 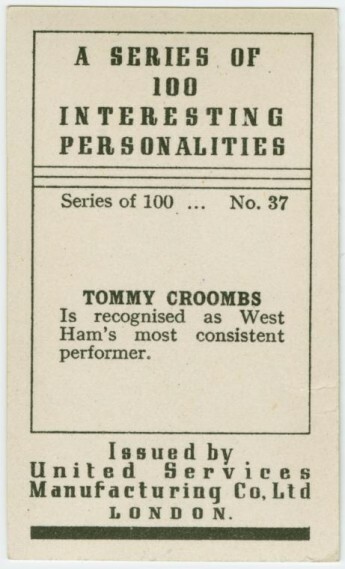 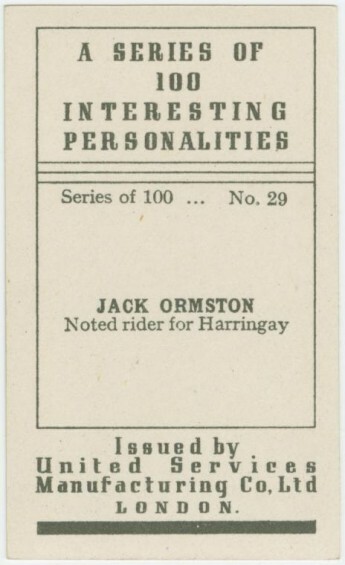 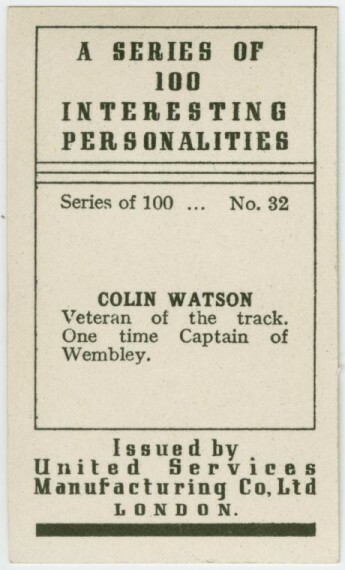 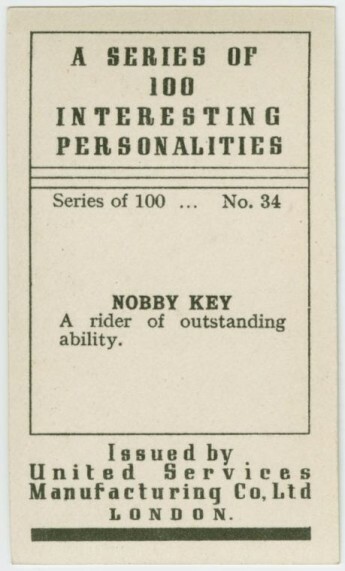 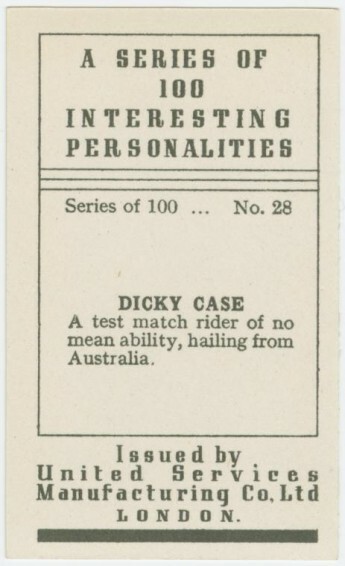 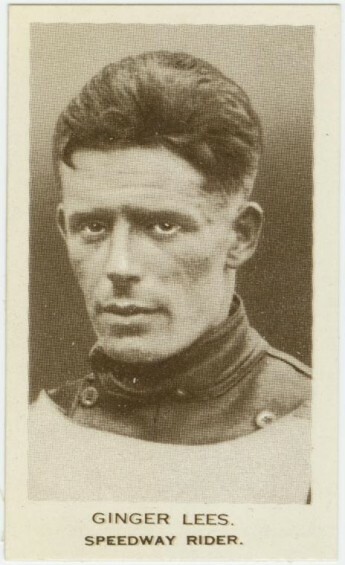 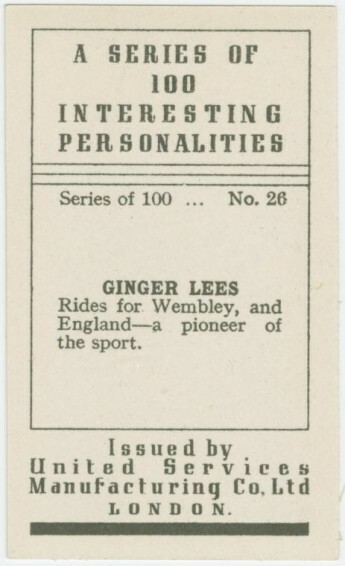 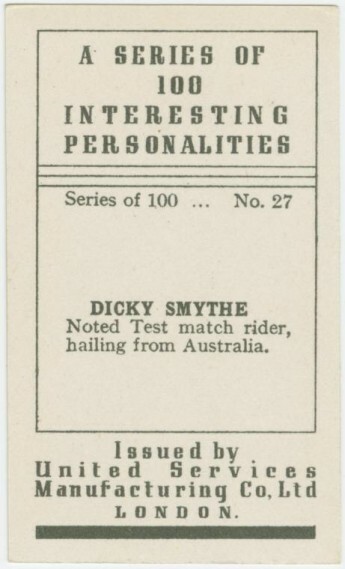 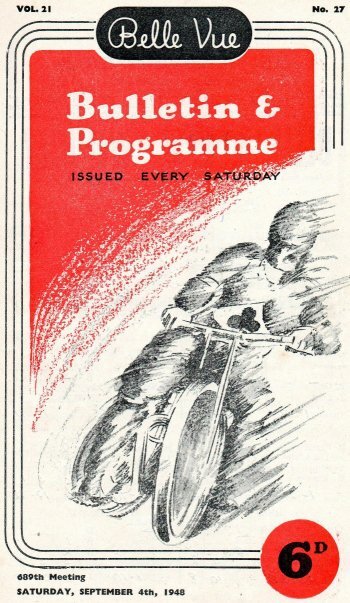 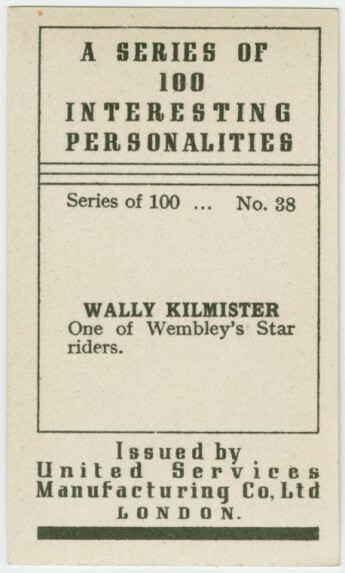 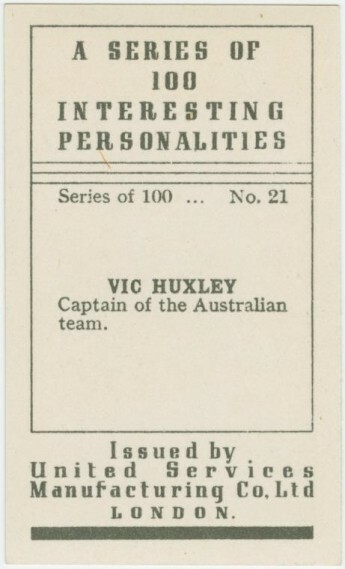 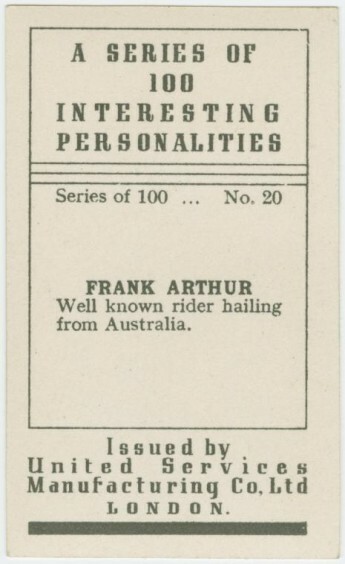 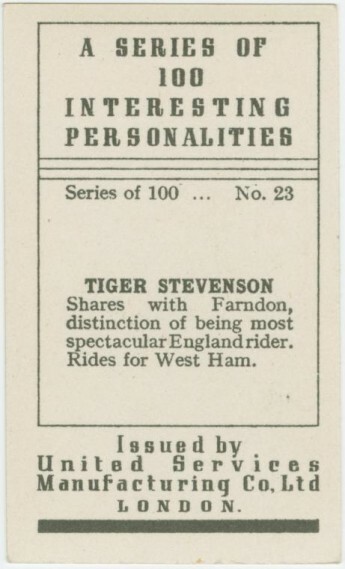 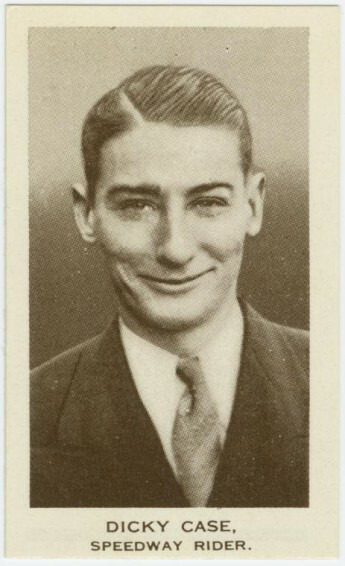 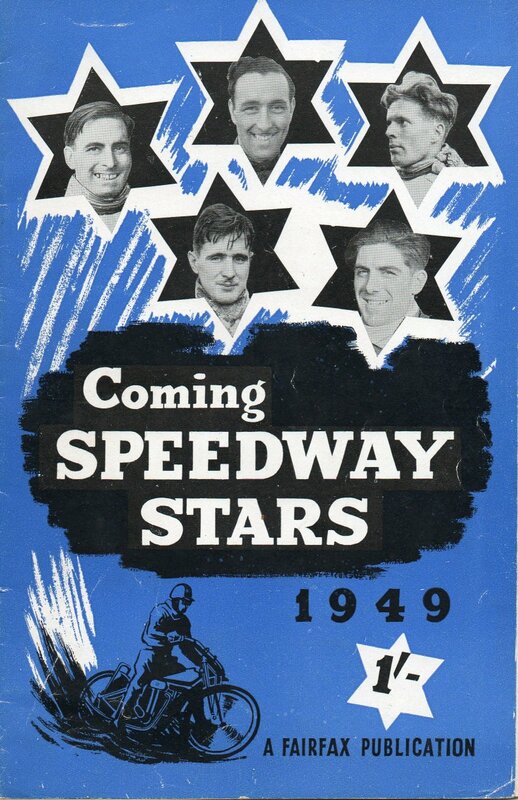 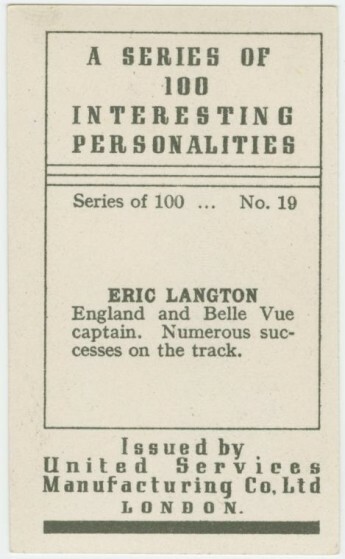 So thanks to David Pipes, the website has another 20 cards which comprises the full set of the speedway riders included in the United Services company card set, namely "A series of 100 Interesting Personalities"